Royal Jordanian (RJ) is offering its customers discounted fares from Amman to Europe between July 1 and July 31. 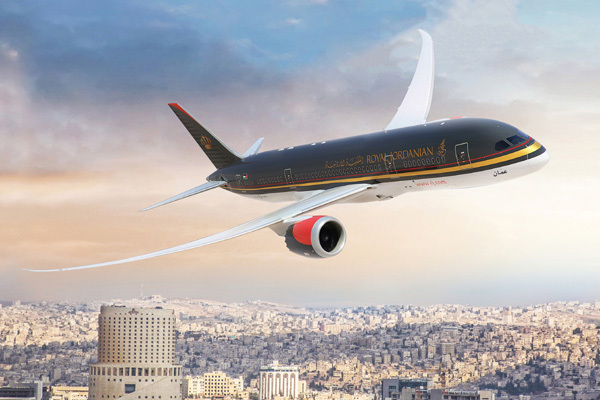 Tickets are up for sale from June 19 to June 22, allowing passengers to purchase round-trip tickets originating from Amman to 15 of RJ’s European destinations at attractive prices, for a minimum stay of three days and maximum stay of 15. The offer to Europe includes fares from Amman to Larnaca and Athens at JD199 ($279.7); Berlin, Frankfurt, Munich and Vienna at JD344 ($483.5); Moscow, Amsterdam, Madrid, Barcelona and Rome at JD444 ($624); and Paris, London, Geneva and Zurich at JD499 ($701.3). The Europe Summer Sale includes all taxes, with one piece of baggage allowance (23 kg).